2nd row views from 2 decks & the open living area! 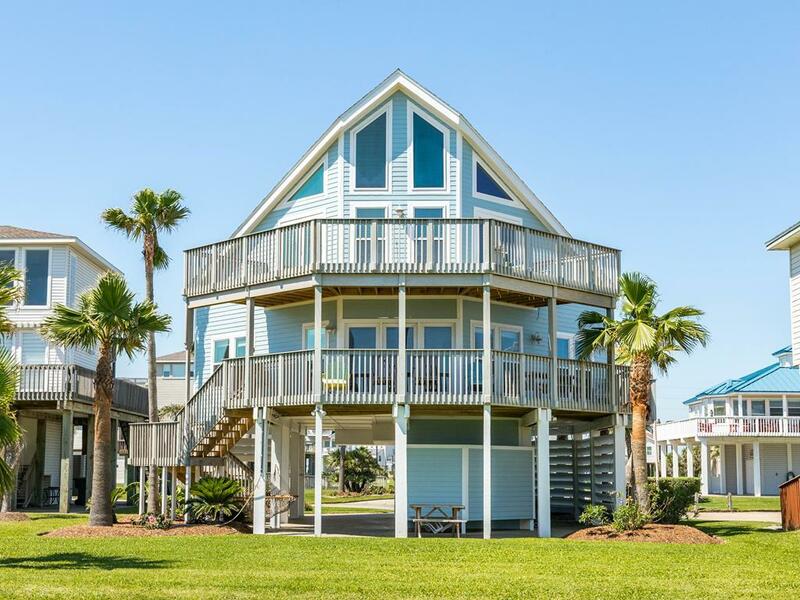 Perfect for couples or multiple families, this beachside home boasts an open floor plan on the main level with comfortable sofas and a dining table that seats 10. The cook can have plenty of assistance with seating for four at the kitchen bar, and no one will miss any of the fun! 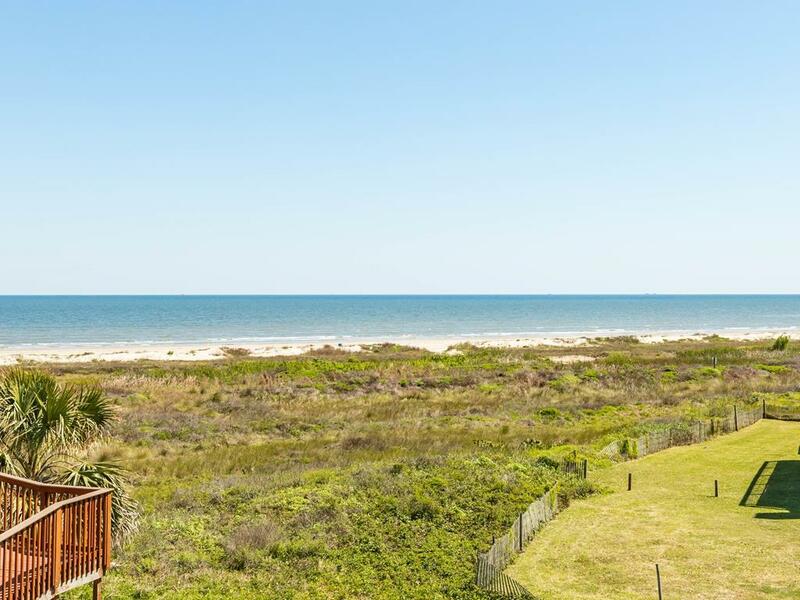 Ready to build a sandcastle, hunt for seashells, or do some surf fishing? 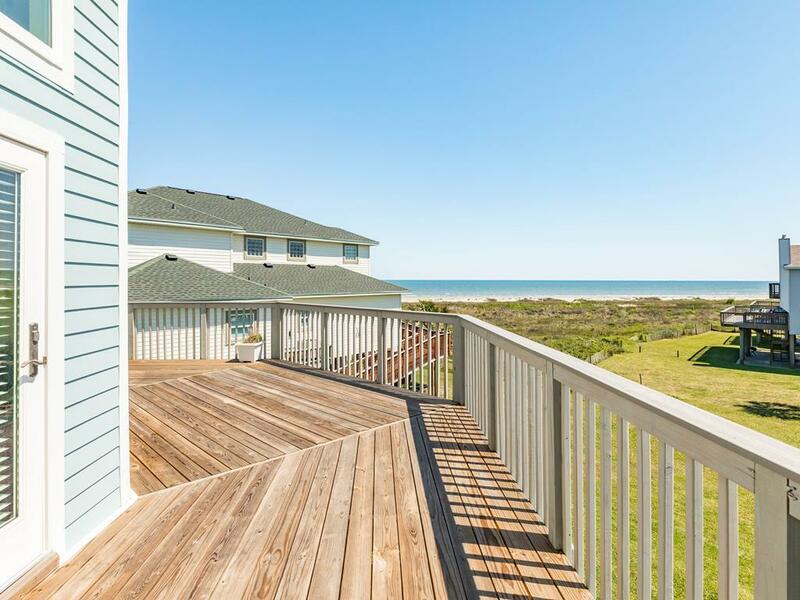 Just head a few doors down to the dune walkover to take full advantage of all the Gulf shore has to offer! 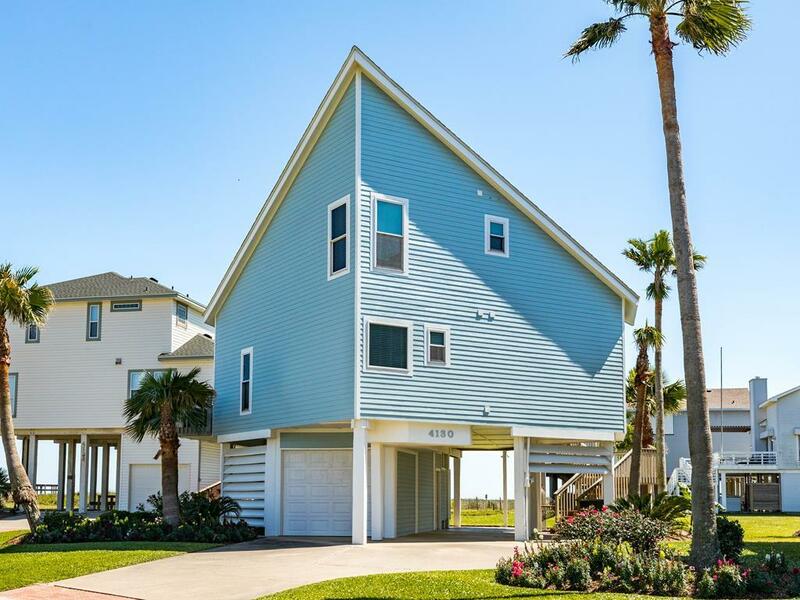 I would definitely recommend Sand and Sea to anyone needing a rental home. The view was great, location easy to get to, and a reasonable rate. Great house. Beds were comfortable, view was good, and the kitchen supplies were well stocked. Enjoyed both decks with the upper deck providing needed shade for the lower deck. Only problem was ants on the path to the beach. Nice clean beach. My family of 10 stayed here for our annual family vacation!! Other than being a ways from stores and such, it was a beautiful house! Very clean and pretty! It isn't considered Beachfront, but it basically is!! There are two houses I front of this one, but the way they are positioned puts this home right up there for a gorgeous morning view! They have all amenities needed in order to have a stress free break! Make sure to bring the OFF, though! Very nice interior, great detail to trim and paint, nice and clean. Great layout, plenty of room, great bathrooms. Nice view, quite beach. Would definitely rent again. Lovely, comfortable home. There were 10 of us (5 adults, 5 pre-teen / teen) and we all had plenty of space. Only disappointment was the poor quality of the mattresses. We absolutely loved our stay here. They had everything we needed for our family vacation. The view was nice, the beach was clean and the property management company was a pleasure to work with. Just a few snags with things in the house- bed comfort wasn't the best and a few minor snags with some repairs needed. 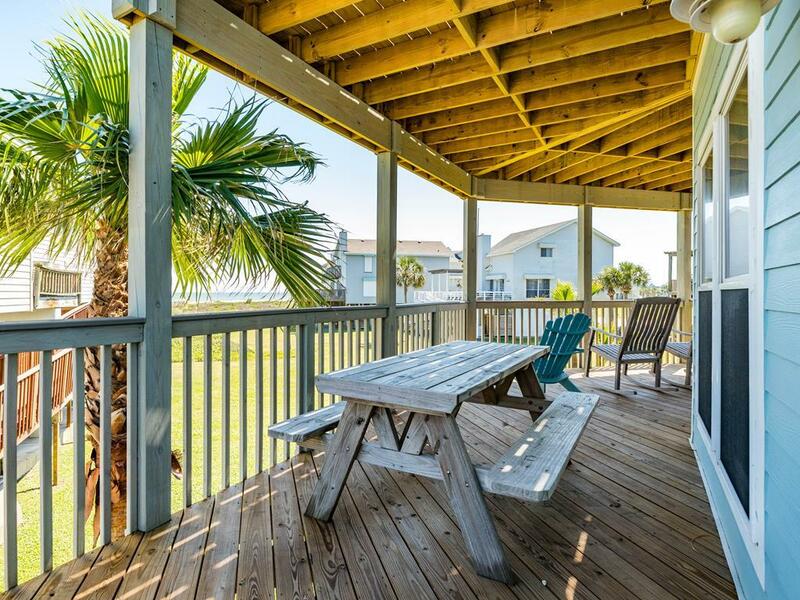 Overall we had a fantastic vacation and will definitely come back again and for sure use Sand N Sea Vacation Rentals. I liked the location of this house. This house was about as far as you could go on the west end but was worth the drive. The boardwalk was close and was over dunes covered in wildflowers and many types native plants. This beach was clean and wide and had very few people on it. The house was more like a home than a rental. Living room had new furniture and a great view. The beds were comfortable and the house was very clean. Both decks had great views. If you are looking for a relaxing vacation away from crowds this is the house for you. Great home for a family, close to the beach! 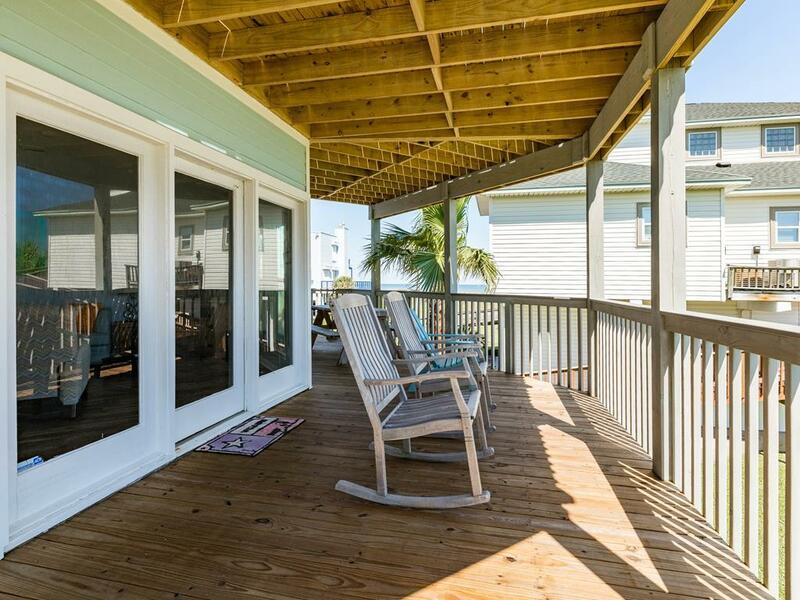 Great beach views from all decks of this beach rental and easy/quick beach access due to sand dune board walk locate short distant from to house. found my stay at Sand and Sea to be excellent. Family really enjoyed the stay. Like the fact that the beach area was limited to visitors so was not packed and able to get up early and enjoy walks. Excellent property and neighborhood. We enjoyed having a long table for big family meals. The house layout fit us perfectly (2 families + grandma). The neighborhood was friendly and quiet. The beach was raked every evening. Would recommend. I was greeted promptly and with kindness when I checked in. All questions were answered and I felt very comfortable. The house was awesome. I will use Sand 'N Sea again in the future! The location of the property was perfect. We had 4 generations of family and enjoyed the easy beach access. House was plenty large to accomadate our group. A/C worked like a charm...no issues at all with this property. The home was very roomy and functional for the 10 of us, which included 6 kids all over the age of 10! The large kitchen/dining area and open floorplan allowed for great family time. Access to the beach boardwalk was basically at our back door and considering this is not a beach front home, it could be labeled as such. Great views of the beach! We will definetly back! This was our first time to rent from Sand'N Sea and it was an excellent experience. Very easy & quick check-in and check-out! The staff was super friendly and helpful! We had no issues at the 'Sea Forever' beach house and had a wonderful time. We had a house-full with kids and adults, and this house accomodated us all very well. 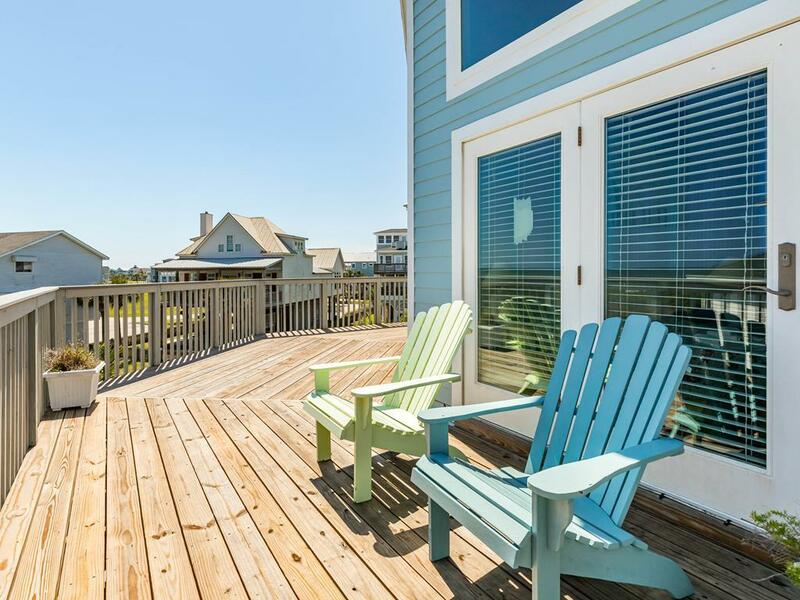 It was clean, a perfect location with an ocean view from both deck levels. The kids loved it and insisted we come back next year! We enjoyed the hammock, too! Six adults and four kids. Kids stayed in one room. 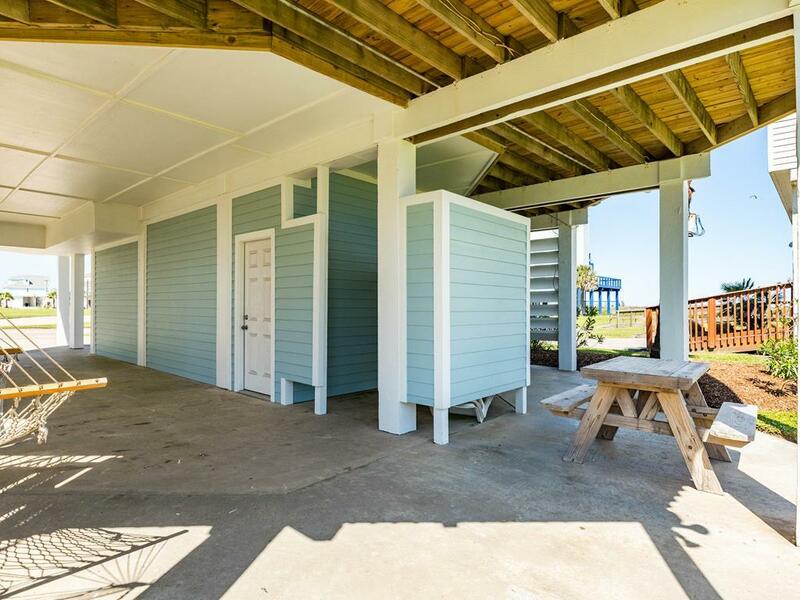 Great ocean views, nice decks, very short walk to beach. Pool was close and uncrowded. Overall, a great place to stay. No complaints. My family and I commend you for the professional standards and dedication of the staff at Sand N' Sea. Your attention to our needs and request ensured that our stay was most enjoyable and relaxing. We are looking forward to our next visit. Beautiful house in an amazing location! Sit on the deck and watch the world go by. 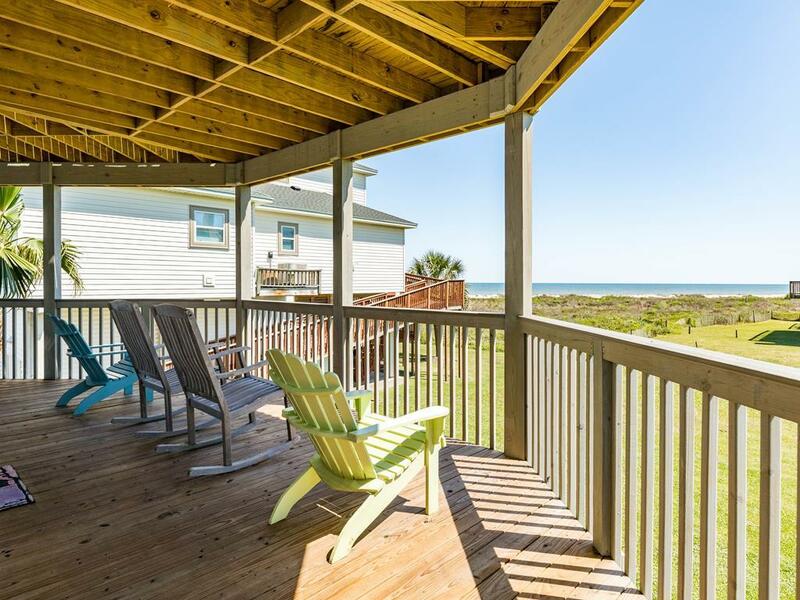 This home has an great view and is in easy walking distance to the beach. The inside of the house is very nice and had plenty of room, even with a herd of children running around. Highly recommended! We loved the house and the location. The beach was great - not much seaweed on the sand and very little in the water. The A/C worked beautifully the whole week - not even a hiccup in keeping the house cool during the hot, hot weather. We were just sad that we couldn't spend the whole summer there. The house was very comfortable and our family had plenty of space.